How long does the Rolladeck take to set up? 30 seconds to no more than 3 minutes depending on the drop-down configurations and adjustments. Please see our instruction page for more information on set up. How hard is it to adjust the Rolladeck? 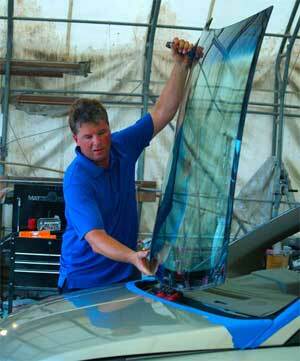 Simply applying the tool directly to the existing windshield in order to set adjustments makes adjusting the tool easy. There is no need for complicated measuring mathematics. What vehicles can the Rolladeck be used on? The Rolladeck can be used on any vehicle that will allow for the tool to be bolted to the wiper post assembly or be bolted parallel to the sub cowl assembly. This includes more than 95% of passenger vehicles such as cars, light trucks, crossovers, and minivans. etc. How do I decide which components of the tool to use for each application? Each baseplate out of the total 6 included with the tool will only work on it’s respective wiper post. Select one of the 6 base plates which would most likely fit the application. Test fit the baseplates until you find the one which is best suited for the application at hand. Choose one of the 4 slide plates in a similar manner, making certain there is enough clearance behind the slide plate for retraction. Also make certain that there is enough span in front of the base plate for the tool to be adeqautely fastened to the baseplate. Then, determine if a drop-down adjustment is required. This may be done by measuring the distance between the slide plate height and the windshield at rest. If the distance is at more than 1.5 inches, you may want to adjust the drop-down configuration for clearances. misplaced. Rolladeck Industries does provide the individual tool components for sale through our shopping cart, should you wish to purchase them.